I've always loved the rain. and not feel guilty for not doing anything at all. the frequent rhythm of pitter-patter, soothing every worry or stress. the ultimate excuse for enjoying yourself doing whatever it is that relaxes you. have you taken a rainy day lately? I love the sound of raindrops falling on my roof... but I hate it when it rains so hard in Manila, the streets become so flooded. jeez, i wish i could look at rain like that! seasonal depression ruins that for me :[ rain makes me really sad most of the time. but i have a whole week full of em left to try out a nice happy rainy day! its going to be raining here all week! haha :] good or bad thing? who knows. i love the rain, but it's one of those things where i'm like "how can i miss you if you never leave?" lol it's been raining SO MUCH here, but today is finally gorgeous! rainy days for me are about books & hot cocoa! i also love rainy days! so comforting and inspiring to do some reflecting. btw, just caught up on your other couple of posts - your bedroom is AMAZING! i am seriously impressed! lovely blog! love ur outfit posts a lot! ure very pretty and stylish!!! 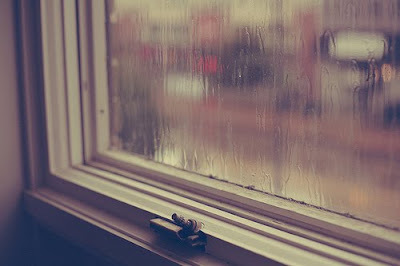 Lovely pictures that truly capture the mood of rainy days! cuteeee pictures. i love sitting in and eating pastries on a rainy day, but i always have to go to school or work!! !